Not your typical meal delivery service, Love With Food offers its happy customers a wide range of healthy, organic, junk-free snacks. You can choose to have your orders delivered to either your home or your office, making it even easier to enjoy a tasty snack wherever you are. In addition to caring about healthy lifestyle and eating habits, Love With Food also helps the fight against childhood hunger in the United States and around the world. They donate a percentage of every purchase to organizations such as Feeding America and The Global Food Banking Network. 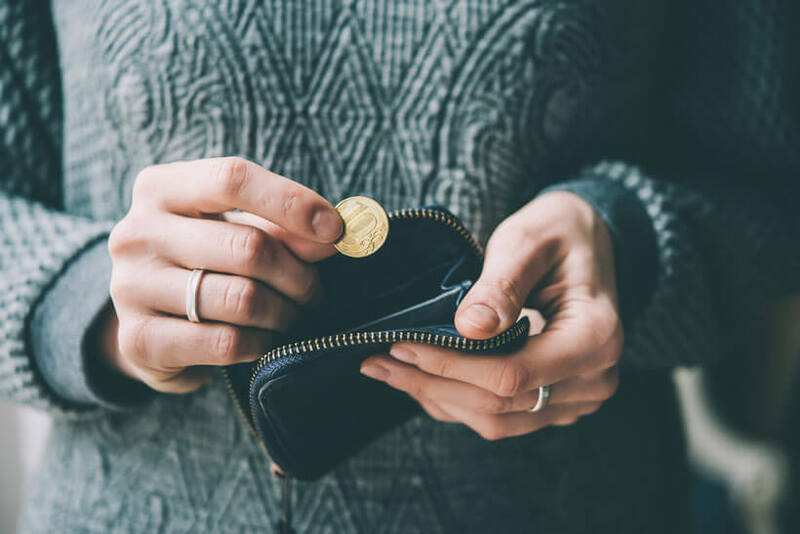 If you would like to change the way you snack and contribute to a good cause at the same time, keep reading out Love With Food review. First of all, you have to remember that this meal delivery service is all about snacks. For the purpose of this Love With Food review, we ordered a box to check out how ordering works and what you actually get. What did we learn? The process is very simple and straightforward. Another important thing to keep in mind is that Love With Food has a different offer for individuals and businesses. 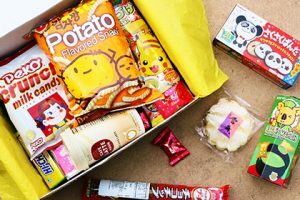 If you are ordering for yourself, you start by selecting a monthly subscription that allows you to enjoy a predefined number of snacks each month. 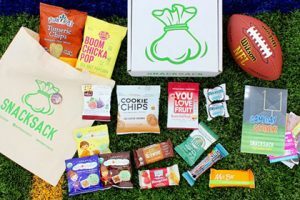 Depending on the box you choose (Tasting Box, Deluxe Box or Gluten-Free Box), you get a different amount of snacks and monthly bonus points. Shipping is free on all orders within the US. For each Tasting Box you order, 1 meal will be donated to hungry children. This box is not available for international shipping. However, the other two are and 2 meals will be donated for each Deluxe or Gluten-Free box you order. Love With Food takes good care of their business customers too. One of the best ways to get the creative juices flowing around your office is to serve your colleagues a selection of tasty snacks. While starting at a much higher price than boxes for individual customers, each business box donates 15 meals to the cause. If you don’t like surprises, you can always use their regular online shop. You can choose each individual snack, spread, sweet, and treat and also get free shipping. What also sets Love With Food apart is that you can contact them about including your products into their offer. 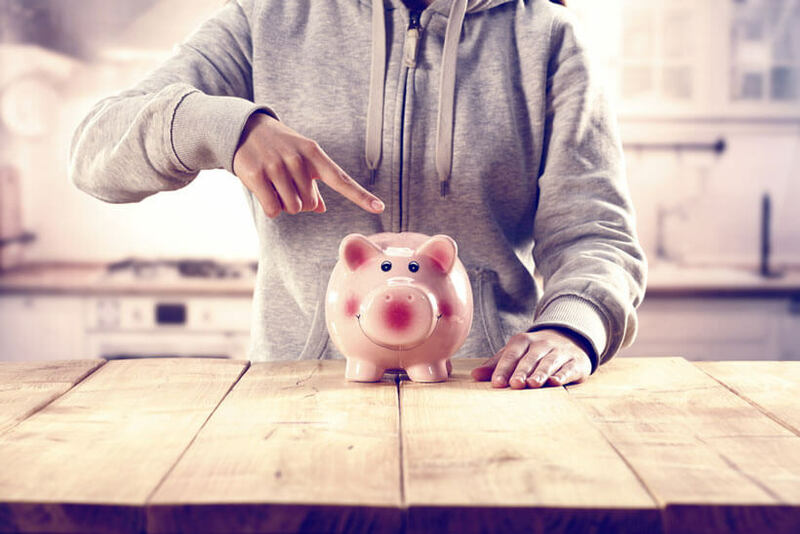 If you offer consumer goods products in this niche, they can provide you with a great way to gain valuable consumer insights, social media buzz, and other perks, which you wouldn’t normally get through your regular sales channels. As we already pointed out in this Love With Food review, this company specializes in delivering healthy snacks. They are definitely not the first on the market, but the thing that sets them apart from many other food deliveries is their focus on the healthy side of eating. When looking for a specific product to order, you can find all the important facts about each individual item. Also, all products have an appropriate label that puts them into one or more categories suitable for different medical or nutritional needs. We already mentioned gluten-free items, but they additionally offer vegan, vegetarian, organic, kosher, gluten-free, dairy-free, yeast-free, nut-free, and other options. You can also view items that can fit into multiple categories. For example, you can list all products that are dairy-free, organic low carb, and gluten-free. As we said at the very beginning of this review, the folks behind Love With Food are on a mission to help end child hunger. Depending on the size and price of your particular order, they assure you that at least one meal is donated for every order you make. According to the figure shown on their website, they have donated more than a million meals so far. We already mentioned three different subscription plans for individual (home) customers in the first part of this Love With Food review. Now it’s time to go into more detail about them. 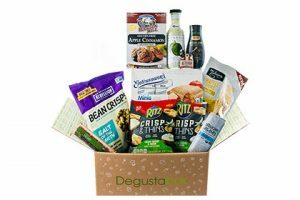 With the In Home Plan, you can choose between the three previously mentioned subscription plans, including the Tasting Box, the Deluxe Box, and the Gluten Free Box. The Tasting Box contains 7+ items while the Deluxe Box includes 15+ treats. The Gluten Free Box contains 10+ certified and naturally gluten-free snacks. The Office Plan is a tray with at least 65 snacks and 10 varieties each, designed to meet various dietary needs, from dairy-free to organic and vegan. Once again, we feel the need to stress the fact that Love With Food doesn’t offer actual meals. That’s why there’s not much point talking about recipes, butwe can still tell you all about how tasty and amazing their snacks are. There are some very delicious gourmet snacks and, more importantly, they are all super healthy and good for you. The notion of healthy snacks is something that we rarely think about, but this company shows us that a snack can be both nutritious and delicious. As for special programs, there is the above mentioned Gluten-Free Plan. There are no other special programs, such as exclusively Paleo, vegan, sugar-free or low sodium. However, a box will often contain one or more snacks suitable for those dietary needs. Love With Food has more or less reasonable prices, considering the fact that they’re selling high-quality, healthy snacks. 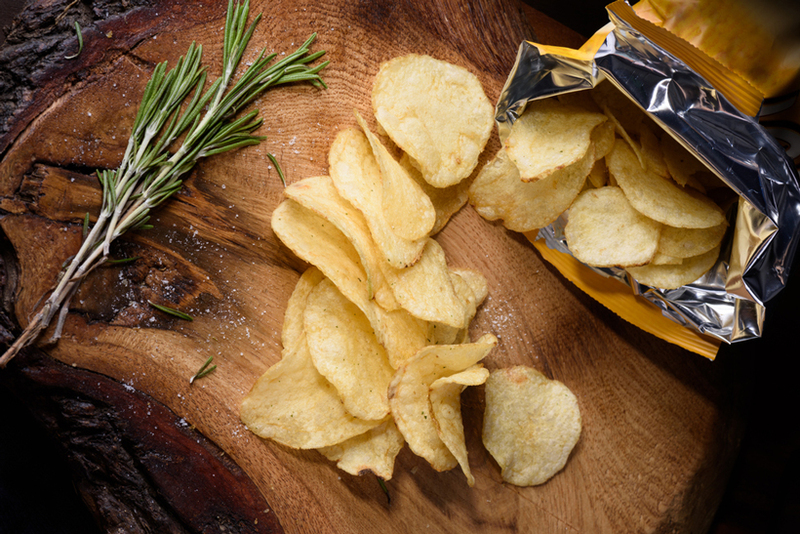 Junk food is cheap, but gourmet snacks most certainly aren’t. That’s why we think that a starting price of $7.99 per month (Tasting Box) with the annual subscription is quite affordable. The Deluxe Box costs $16.50 per month and the Gluten Free Box is $19.99 per month. Bear in mind that these prices apply only to annual subscriptions while month-to-month plans start at $9.99. Shipping is free in all states. Love With Food delivers throughout the United States, which means continental US and Hawaii, as well as US territories. However, if you opt for either the Deluxe Box or the Gluten Free Box, they can be shipped internationally. To make sure Love With Food meets all your standards and expectations, it is important to know its biggest advantages and disadvantages. With a short overview of its pros and cons, you can easily decide if Love With Food is the right company for you. 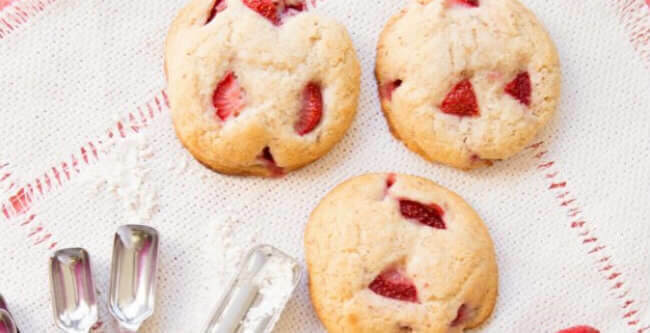 If you’re looking for a meal delivery service that can provide you with some delicious and healthy snacks, then Love With Food may be ideal for you. Some of its biggest benefits include a wide selection of gourmet snacks, quality products, and free delivery. With this company, snacks can truly be healthy, so you can continue enjoying healthy, delicious treats without adding inches to your waistline. Our ratings are the result of an objective and independent evaluation of Love With Food – Tasting Gift Plans, generating the final rating that reflects the overall quality of the product. Ratings may change as the service changes. No user reviews yet! Be the first to review Love With Food – Tasting Gift Plans. We found 3 verified Love With Food – Tasting Gift Plans promo codes for April, 2019. 40% Off Get 40% Off Your First Box of Delicious Gluten-Free Snacks!